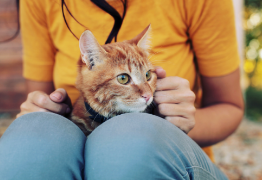 Most pet owners probably don’t know this, but cats can have seizures just like humans. Few things are worse than seeing your usually happy-go-lucky pooch suddenly flop to the ground and tread water that isn’t even there, but for some cats, this is their reality. Sometimes a cat will exhibit behavior changes shortly before a seizure, such as pacing, circling, yowling or vomiting. 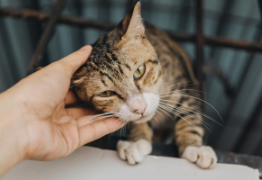 After the seizure, your cat will be disoriented, may show temporary paralysis in one or more legs, seem blind, vomit, or show other behavior changes. 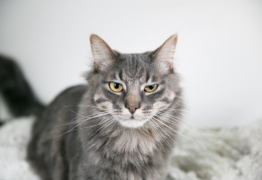 These changes are usually short-lived, although it may take several days before your cat seems completely “normal” again. Free Guide!-Get The Complete Seizure Prevention Guide PLUS get a Coupon For 20% OFF Our Herbal Products! What are the Phases in a Seizure? The pre-seizure phase is commonly called the aura. Your cat may appear restless, pace, seek affection, salivate, meow, or hide. These signs occur just minutes before the actual seizure begins. The seizure itself is called ictus. Your cat may appear excited, vomit, salivate, run in circles, collapse, and have uncoordinated muscle activity. This stage generally lasts less than 5 minutes. After the seizure, the recovery (post-ictal) period begins. Your cat may seem disoriented, uncoordinated, and occasionally blind (temporary). This may last several minutes to days. 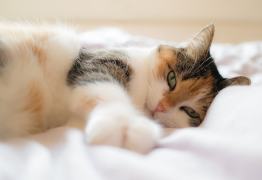 How is Epilepsy in Cats Treated? Treatment for epilepsy is usually not begun until a seizure is severe or multiple seizures have occurred and a pattern is observed. It is very important to know the pattern of seizures in your cat so your veterinarian can determine if the treatment is helping. The goal of the treatment is to decrease the frequency, severity, and duration of the seizures. Medications used to treat epilepsy are given orally. Your veterinarian may need to try different types or combinations to find what will be right for your cat. 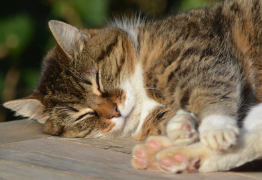 Many cats will become sleepy when they first start medication, but this soon wears off after several weeks. This Bundle Includes both the Seizure Support and CBD Oil. When used together we have seen seizures come to a complete halt in many cases! CBD Oil for Pets is a safe, gentle and nutritive CBD supplement for pets of all ages.